Key & Peele begins its fifth season next Wednesday, and Comedy Central has been carefully doling out small, measured doses (i.e., individual sketches) from the new batch of episodes in hopes that we’ll all be hopelessly hooked by the time the first full episode airs. Earlier previews covered familiar Key & Peele territory like sports humor and silly voices used in the service of political satire, and the new sketch uses another of their favorite techniques—media parody. In the sketch, Keegan-Michael Key plays a politician giving a speech at a C-SPAN town hall meeting. As Key talks, the camera pans over different members of the audience; a little girl when he mentions young people, an Asian woman when he mentions Asians, and so on. 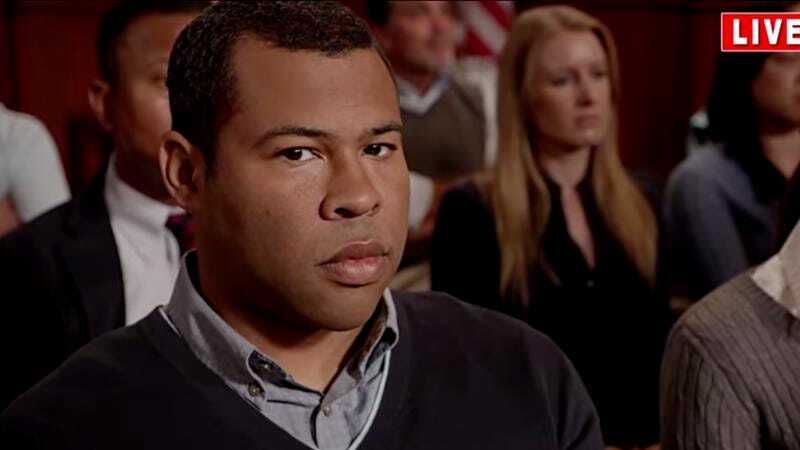 Then Key starts talking about gay people, and the camera settles on Jordan Peele’s face; despite his efforts, the camera follows him as he moves around the room until Peele accepts his C-SPAN appointed fate as the new face of marriage equality. Key & Peele returns to Comedy Central Wednesday, July 8 at 10 p.m. ET.